The Franchise Radio wants YOU as a long term partner! Established in December 2007, The Franchise has quickly become one of the best sports talk shows on Montreal Radio. Since making its debut on CJLO’s underground radio, The Franchise is now being broadcast live every Sunday morning on CJLO 1690 AM from 8:30-10:30AM. Hosted by 2 of the most dynamic and largest hosts on radio, The Franchise is looking for sponsorship opportunities and partners who believe in the passionate discussion of Montreal sports, Mixed Martial Arts and two gentlemen who feed off each other’s energy, and plates when the other isn’t looking! Not only is The Franchise fully accredited to cover the Montreal Impact, Montreal Juniors and several games of the Montreal Canadiens, but they bring their sports commentary to a new level with their heated debates and commentary as well as throwing in the odd personal insult as the show progresses. Nick Murdocco is also the host of a bi-weekly NHL podcast “The Hockey Family”, and has appeared on Global’s “Sportivi” sports TV show. Nick has culminated years of being a free-lance writer and a passion for sports into building a growing sports network and fan base. Gary Whittaker, also a freelance writer, has had numerous articles published in MMA Authority, Tidings Magazine, and various online sources like Xtreme Lifestyle Magazine. Gary has also been interviewed by CBC’s Daybreak for his online petition on keeping MMA legal in Quebec. 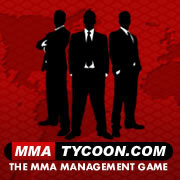 The Franchise has been accredited to every TKO and XMMA event since 2008. The Franchise currently boasts over 50 thousand page requests per month*, and approx 3000 downloads a week* and we are growing. We are looking for partners that want to build a long time collaborative partnership, as we seek to find a spot on a major radio station. Packages will include prime space on the website (www.thefranchisradio.net) , commercial spots, and guest spots. The Franchise is currently part of Concordia University radio station, which has a student body of over 30 thousand people.